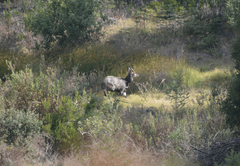 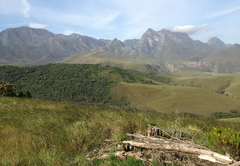 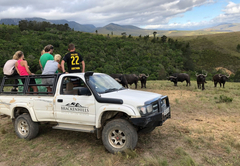 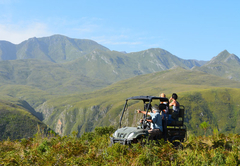 Brackenhills Private Nature Reserve is a property providing self catering in Heidelberg for tourists visiting the Cape Overberg region. 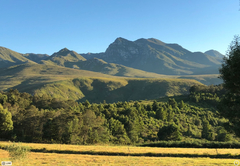 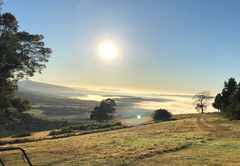 Brackenhills Private Nature Reserve offers comfortable accommodation and is the ultimate getaway destination; whether it’s a romantic weekend away, a mountain biking trip or a trail running weekend, this is the place to be. 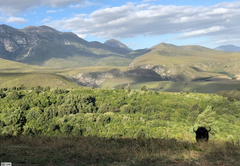 The four stylish tented lodges are situated high up in the Langeberg Mountains bordering the beautiful and peaceful Grootvadersbosch forests. 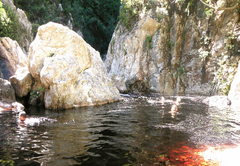 Swim in the pools in the river gorge; take a guided forest tour to the Canyon, view the herd of Cape Buffalo or have a picnic in the forest … there is so much to do here! 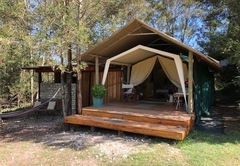 The self catering tented lodges have been designed to make your stay as comfortable as possible. 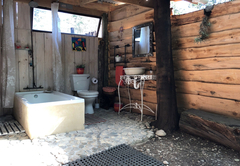 Each tent has its own outdoor bathroom. 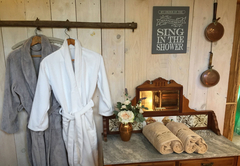 Room facilities include a tea / coffee station, en-suite bathroom and deck. 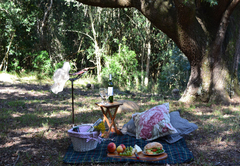 Set within the forest, this luxury tent with an oversized bed is immaculately furnished for two. 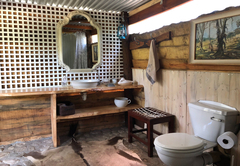 The large spacious en-suite bathroom has views into the secluded forest. 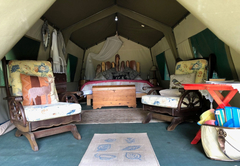 This delightful tent is furnished with a Queen-size bed. 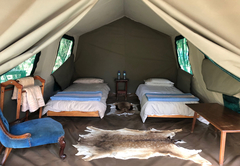 With breathtaking views of the majestic Langeberg Mountains, this tent has a Queen-size bed and an adjoining outdoor African experience bathroom. 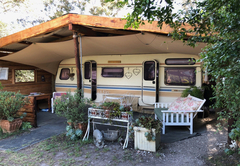 This Cara Camper has a double bed and a small living space which can be converted into an additional sleeping area, ideal for two young children. 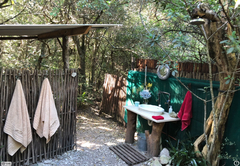 The adjoining outdoor bathroom opens onto a secluded forest. 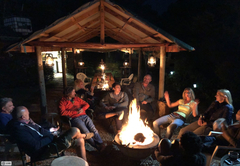 Enjoy our fully catered service, with prepared traditional African meals, or if you prefer the self-catered experience, you can make use of the open air shared facilities which include a braai area and fully equipped kitchen. 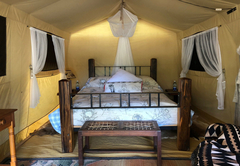 Tastefully set within the forest, this luxury tent with over sized bed is immaculately furnishing for two. 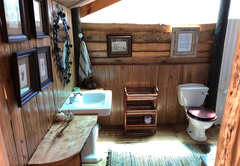 The large spacious en-suite bathroom has views into the secluded forest. 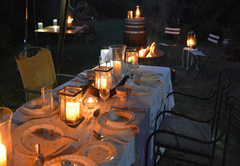 This is a romantic Luxury Tent that echoes with the beautiful sounds. 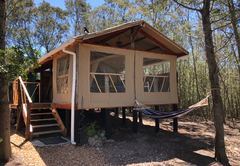 Beautifully situated amongst the trees, this delightful tent with a queen sized bed and en-suite bathroom is tastefully decorated with a natural air to it, making your stay as comfortable and relaxing as possible. 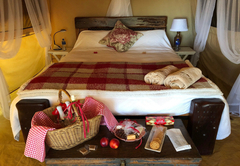 Backed in to the indigenous forest with breathtaking views of the majestic Langeberg mountains, this luxury tent has a queen sized bed and an adjoining outdoor African experience bathroom. 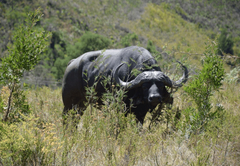 Response timeBrackenhills Private Nature Reserve typically responds to requests in 5-10 minutes.